Since the post was established in 1970, by Edward Heath, we have had a mixed bag of Secretaries of State for the Environment. Some of them seemed to be more like Secretaries of State Against the Environment. Every so often though one comes along who seems to have a genuine understanding of, and commitment to, the post. John Gummer, Michael Meacher (actually a Minister of State) and Caroline Spellman come easily to mind. 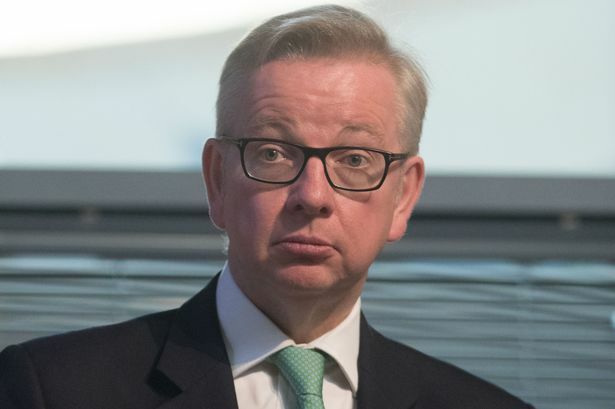 Now, to some, an unlikely new champion has emerged: Michael Gove. He is in the tradition of big political hitters occupying the post, such as Michael Heseltine and John Prescott. Since his appointment in June this year Gove has been saying the right things and announcing promising initiatives. Three in particular should please the green lobby. In early November he said that Britain would now support a ban on the bee-harming pesticides neonicotinoids, after years of Government resistance to this. Whilst good news for the bees, and the environment in general, this will be a political hot potato amongst Government supporters in the farm industry. A few days later he announced that an independent environmental and nature watchdog is planned ‘… to hold the powerful to account and deliver a green Brexit. ’ in relation to wildlife, land, water and air. The irony of this is that if there is one thing successive conservative ministers have done, it is to weaken and continually undermine the original watchdog. This was once the Nature Conservancy and is now Natural England. Gove deserves credit for introducing these policies, and encouragement to do more. Some parts of the green lobby have been very grudging in their responses, pointing out the many Government policies and actions which work against wildlife and nature. There are also the questions of exactly what powers the new body will have, and what has happened to the promised 25-year plan for the environment. This, though, is the context within which he works. Because everything cannot be put right at once (and never will be) is no reason not to cheer the Mr. Gove on.